Professionally designed for SMEs to Enterprises with hundred of users across different location, our Sentinel remote monitoring and IT management technology help you to reduce cost drastically and increase your core productivity in your business. Costs are kept to a minimum through our multiple modules that assist with backup, licensing, security through an on-demand model. Specially designed to allow IT department to manage, control, Sentinel Managed IT Services aid in protecting revenue, reducing business operation risk and help maintain operational uptime 24/7. 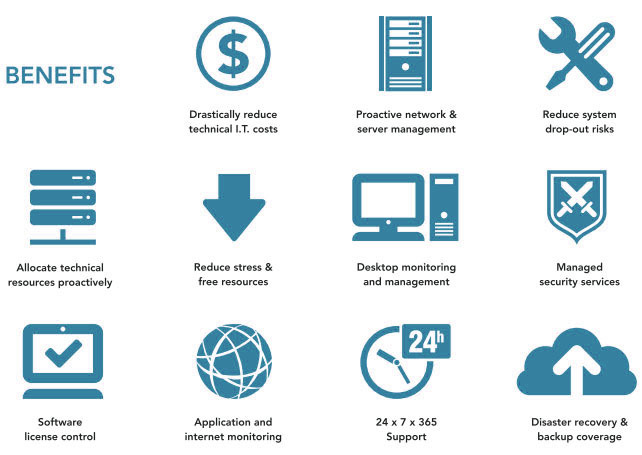 Sentinel supports full management of servers, network, desktop and 360 coverage of your IT infrastructure. Sentinel is provided as Software as a Service and is fully claimable by Singapore Productivity and Innovation Credit (PIC) which allows businesses to increase their business operation productivity and obtain funding up to 60% subsidy (limit to amount up to S$100,000).